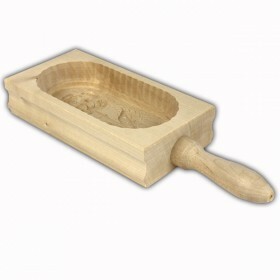 Oval butter mould 250 g. with handle. 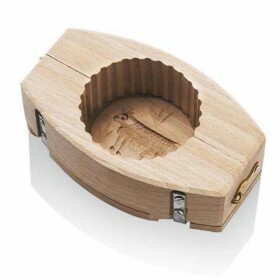 White beech wood with carved design in the background. .. 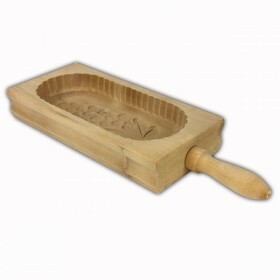 Oval butter mould 500 g. with handle. 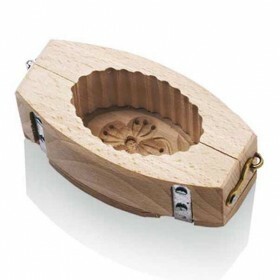 White beech wood with carved design in the background. 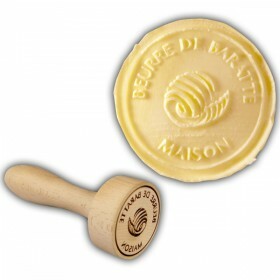 ..
Our new butter stamp is a quality beech product that embosses the words Beurre de baratte maison ..
A fantastic hand operated butter churn capable of processing 1.6 liters of milk.Height : 40 cmWidth .. 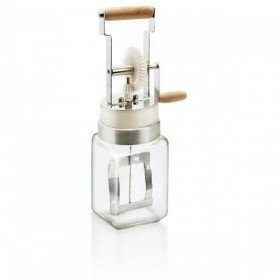 Butter mould "butler. "Fill the mould with a knife. To remove from the mould simply push the stick. Y.. 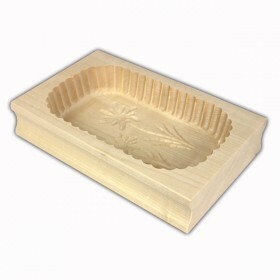 Oval fluted butter mould in beech. Makes butters: 9x6x3 cm. Main subject beech Length 12.. 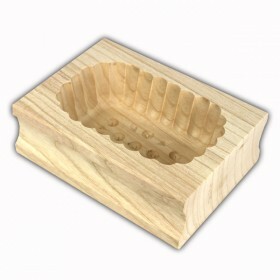 Oval fluted butter mould in beech. 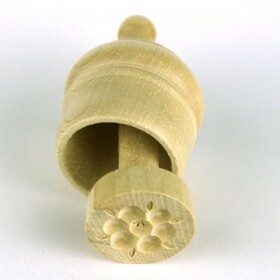 Makes 250g butter pats: 9x6x3 cm. 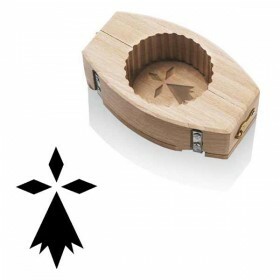 Length 12 cm Width .. 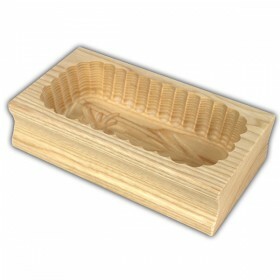 Oval fluted butter mould in beech. 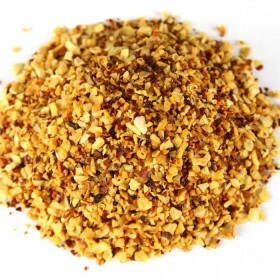 Makes 500 gram butter pats: 17x10x3 cm Length 20.5 cm .. 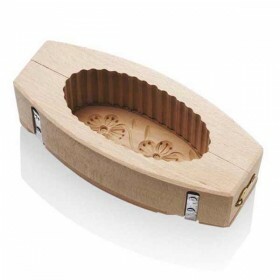 Oval fluted butter mould 250 g - flower decorLength : 21 cm Width : 9,4 cm Height : 5,8 cm Net weigh..
A beautiful oval fluted butter mould 80 g - flower decoration Length : 12,2 cmWidth : 6,6 cmHeight :..
A 3 part wooden round butter mould - "hermine" decor Length : 15.8 cmWidth : 9 cmHeight : 5 cmNet we.. 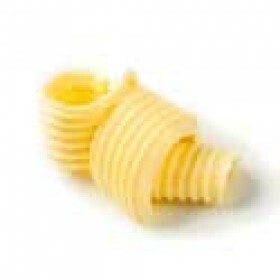 Round fluted butter mould 125 g - Cow decorLength : 15,8 cm Width : 9 cm Height : 5 cm Net weight : .. 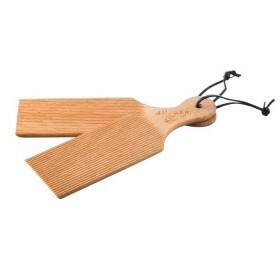 These stylish and practical Kilner butter paddles are an essential piece of equipment for any home ..
A wooden stripped butter spatula Length : 23.5 cmWidth : 4.3 cmNet weight : 60 g..
A 100g sachet of Onion, garlic, and mixed herbs that can be added to cheese or butter to create your..